because the metal instantly oxidizes. that burns with a bluish-green flame. to make the first battery in 1799. 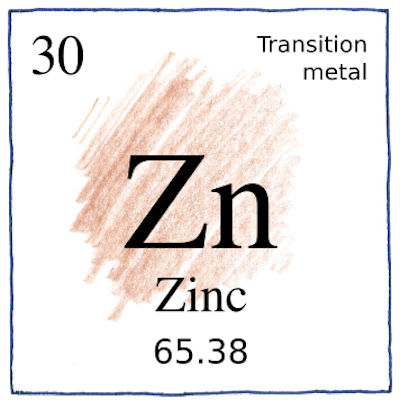 Zinc is essential for living organisms. and increased cases of pneumonia and malaria. to experience happiness and pleasure. Zinc chloride is a deodorant. and with copper glow-in-the-dark green. there’s a scarcity of zinc. it’s pretty hard to think. we never learn our lessons. A lack of hedonic tone is a symptom of zinc deficiency, as well as a variety of physical problems—thining hair, mouth sores, impaired immune function, and so forth. Consider zinc for yourself or your friends who would otherwise suffer or go to a doctor for antidepressants.